A very lovely CV template that uses an innovative 'cogs' design to give the layout a business theme. This template starts with the usual personal objective and then moves to the slightly less usual quotes from referees - this section could of course be used instead to showcase some key achievements. Next, the work history is laid out in a lovely grid format which is easily expanded if needed, providing plenty of space for key details. More sections are provided for qualifications, interests and references but like all of our CV templates, it's easy to customise the layout to suit your own needs and circumstances. Free Word CV template with example details for a Business Manager	Overall rating:	5	out of 5 based on 4	reviews. CV advice: should I use a CV template in 2019? With such a fierce and competitive job market you need to find any advantage you can over the rest of the applicants, and when it comes to the overall look and presentation of your CV it needs to be beyond perfect. To stand any chance of getting an interview your CV needs to shine and instantly scream to the hiring manager, ‘I am the right person for the job’. From the very second the employer lays eyes on your CV it has to impress. Every single word, sentence and paragraph has to remain relevant and showcase your talents to make the employer want to grab the phone and haul you in straight away for an interview. Using a CV template in 2019 could just give you the edge you’re looking for over your competition, but is a template the right choice for you? What is a CV template? 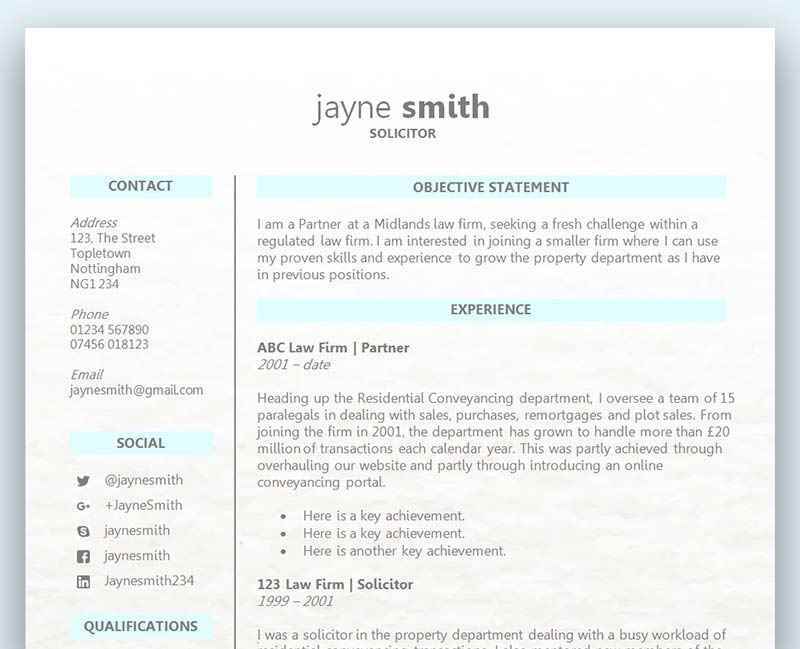 What are the benefits of using a CV template? There are lots of pros to using a ready made CV template, and the obvious one being that it saves you a lot of time and effort. One of the most difficult aspects of writing a CV from scratch is staring at a blank screen wondering how you’re going to get it off the ground and what the different sections are that you need to complete. A CV template should already contain the relevant sections you need to complete, and will ensure that you don’t make a mistake and leave some vital pieces of information off of your CV leaving the employer scratching their head. Presentation is everything when it comes to writing a CV, and it doesn’t matter how qualified you are for the job if it doesn’t look good and can’t be navigated very easily by the hiring manager. A professional CV template could help you to impress the manager and get you to the interview stage. Are there any cons to using a CV template? One of the main things to consider when searching for a CV template is who has created it, which website are you looking at, and do they seem reputable? If you choose a CV template but there are some sections missing and/or it doesn’t look very good, then you could have hindered your chances and might have been better creating your own. Another downside to using a CV template is that you can easily forget the importance of the actual contents and the quality of your information. You have to be careful not to let the CV template do all the work, and although the presentation and format is very important you should still focus a huge amount of effort into what goes into the template. Should I use a CV template in 2019? The pros heavily out way the cons and using a CV template should be something you give serious consideration to. Many other candidates will have chosen to use a CV template, so if you decide to take the risk and create your own layout you could be making a big mistake. With literally hundreds to choose from you should easily be able to find the right one for you, and with so many CV templates specifically designed for a job or industry, getting the right template to showcase your talents has never been easier!